SBM offers complete feldspar processing solutions to all enrichment and upgrading applications including classification, agitation, flotation, magnetic separation, sedimentation and filtration. Depending on the behavior of the minerals, separation is based on gravity, flotation, magnetism or leaching. 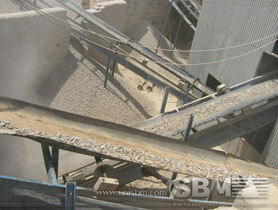 SBM provides professional crushers for feldspar crushing with additional equipments. Our crusher machines will meet your requirements of fineness and energy consumption. In addition, we supply feldspar processing equipments with original drawings and design details for plant, including crushing, grinding, screening and separation machine. Feldspar powder production line contains the complete grinding plant including grinding mill, classifier, cyclone collector device and permanent-magnetic roller separator. SBM has built some feldspar processing plant for manufacturing Feldspar powder in China, India, and USA. We can design the complete feldspar processing flow diagram inclding mining process, crushing process and grinding process. "What we offer you is not only feldspar crushers and feldspar mills, but also professional feldspar processing solutions."